After being wrongfully convicted of a crime and losing custody of her daughter, all single mother Laura White wants is her little girl back. But she'll need a job and a real home first. When Dr. Jesse Alvarez Cooper hires her as housekeeper at his Oklahoma ranch, Laura is grateful. 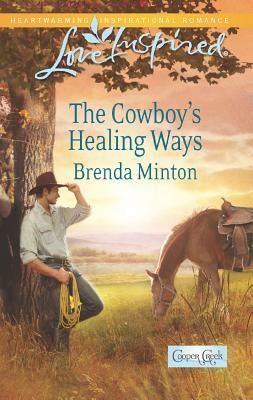 The handsome cowboy doctor, with a harrowing past that stretches continents, also vows to help her get her child back. Suddenly, Laura's dreams may come true -- two permanent place settings added around the Cooper family table. This was a very sweet story about a doctor transplanted from Central America and adopted by the Cooper family and a single mother who was falsely accused and convicted of drug possession and trafficking. Her story nearly broke my heart. This story really hit too close from home, only it's sort of the opposite effect. When this story starts, Laura doesn't have a home, a job, or a way to get her daughter back. But one run-in with the Cooper family and you can guess what happens! I loved watching their romance bloom. I loved watching the relationship between Jesse and Laura grow, as well as the relationship between Laura's daughter and Jesse. The story was so sweet, I found myself crying several times! The way the Cooper family all pitched in to help Laura was so sweet!